Enriching your quality of life with customized treatment and exercise programs directly to you. PT3 brings the clinic to you! Our concierge Physical Therapists provide personalized rehab and pain relief in the comfort of your own home. PT3 customizes innovative workouts to help you achieve greater function, healthier fitness and a figure that reflects your hard work. PT3 professionals take a Hands On approach to enhancing your quality of life. 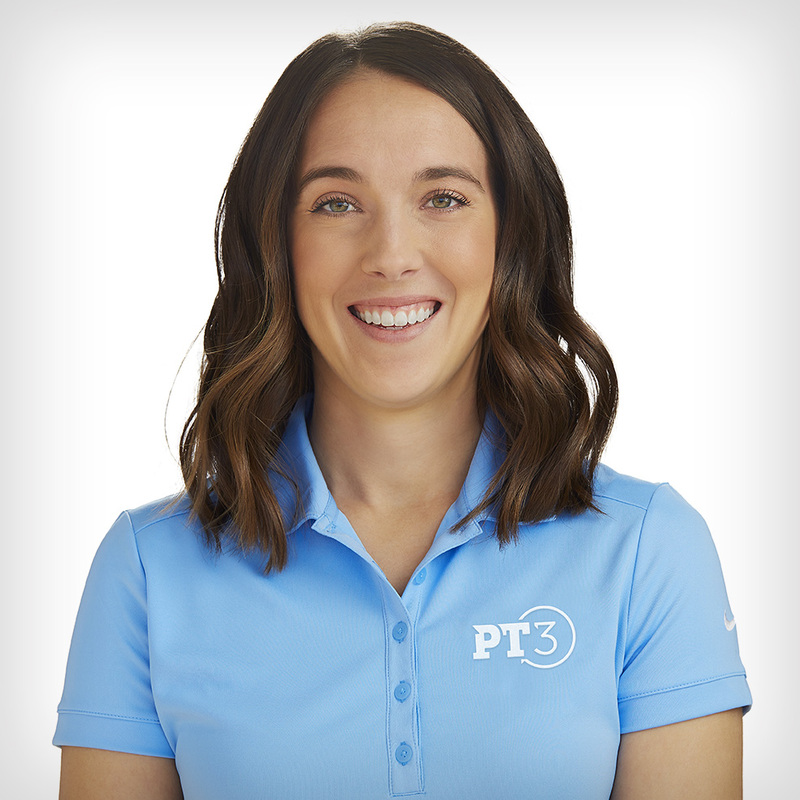 The relationship between our PTs and their patients is the foundation of our proven success. PT3 offers BOSU therapy for people recovering from ACL repair, PCL repair, MCL repair, ankle surgeries, knee surgeries, hip surgery, performing balance training, or performing lower extremity & shoulder stability training, or back surgery to the weekend warrior, BOSU® Balance Trainer helps to strengthen and coordinate your body. The BOSU® Balance Trainer targets the muscles around your ab and back area - helping you to not only gain strength, trim, and tone, but to help coordinate your entire body. BOSU - is an acronym for "both sides up". The BOSU® Balance Trainer can be used with the platform side either up or down for different types of balance challenge. The solid platform is 25 inches in diameter and the dome should be inflated until it is firm. Two recessed handles on the bottom of and towards the sides on the platform makes it easy to turn over or carry. This hybrid fitness product has its genesis in the field of medicine, as well as balance, functional and sports specific training. Neuromuscular physiology, which helps to define human movement, provides the science that backs this remarkably complete approach to training. Range of motion, also called ROM, is the distance or amount of freedom your joint can be moved in a certain direction. Range of motion is measured in angle degrees (e.g. shoulder flexion - 180o) using a goniometer. Range of motion testing is an integral part in any physical therapy examination. Generally, before your treatment begins, your physical therapist will measure your range of motion. Usually, physical therapy ROM measurements are done on the specific part/s involved in your condition. For example, if you have frozen shoulder (adhesive capsulitis), your physical therapist will perform measurements of all your shoulder movements. In some cases, when your PT sees other joint involvement, he or she will measure it, as well. During your physical examination at PT3, when your PT sees that you have limited motion, he or she will also determine if the cause is muscle tightness, pain, or tightness of ligaments or tendons. PT3 offers development programs to fit all levels and playing goals. Get a golf-specific physical assessment, a clear development plan based on your individual Focus Points, and dynamic results tracking to measure your progress. PT3 utilizes an Integrated Dry Needling approach (Ma, IDN). Dry Needling: Is a highly effective form of physical therapy for the treatment of a multitude of musculoskeletal and neuromuscular conditions. It is not appropriate for all conditions or pathologies and the use of the technique will be at the discretion of our Doctors of Physical Therapy. Integrated Dry Needling is based on neuro-anatomy and modern scientific studies of the musculoskeletal and neuromuscular systems. A very fine filament needle is inserted through the skin and into the deeper tissues that are considered trigger points to your pain. Dry needling works by causing a microlesion within the pathological tissue which breaks-up shortened tissues, inhibits the reflex arc from the nervous system to the tissue, normalizes the inflammatory response, and centrally mediates the pain. This mechanical and neuromuscular effect provides an environment that enhances the body's ability to heal--reducing symptoms. Conditions include, but are not limited to neck pain (headaches), back pain, shoulder pain, arm pain (tennis elbow, carpal tunnel, golfer's elbow), jaw pain (TMJ), buttocks or leg pain (sciatica, hamstring strains, calf tightness/spasms). The fine filament needle is made of surgical grade steel. It is very thin and flexible, which allows for the needle to be pushed through the skin versus cutting into the skin. This helps reduce any discomfort that may occur with the procedure. We strive to make the treatment virtually painless, however at times a local twitch response from the muscle may be felt. When the needle is inserted into the pathological tissue the local twitch response is normal and is only felt momentarily. Many clients describe this twitch response as a little electric shock, cramp or an ache sensation. These sensations are perfectly normal, but be assured our Doctors of Physical Therapy make every effort to provide a comfortable and therapeutic needling experience. How will I feel after the needling treatment? This will vary, but many people experience immediate symptoms relief and a increase in mobility. Soreness (immediate or delayed) can also be a common response from the needling, but does not occur with all people. Soreness, if present will usually last 1-2 days. Mild bruising may occur at the needling sites and is more prevalent in certain parts of the body. Larger bruising may also occur, but is rare. Application of ice on the bruise will help with the soreness and the skin discoloration can last several days but is not harmful. It is uncommon but possible that the treatment may temporarily increase your symptoms before your symptoms improve. This does not mean that you will not benefit from needling; however your physical therapist should be made aware of this response so your needling program can be adjusted appropriately. Providing therapy and training sessions in your setting.